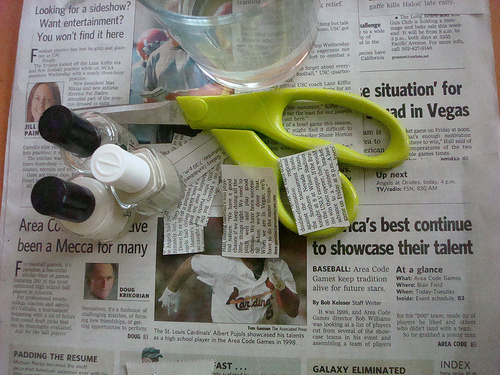 With this DIY, you don’t have to draw on the letters, you just have to get newspaper. For the full directions to do this to your nails, go to Inside Of My Purse. 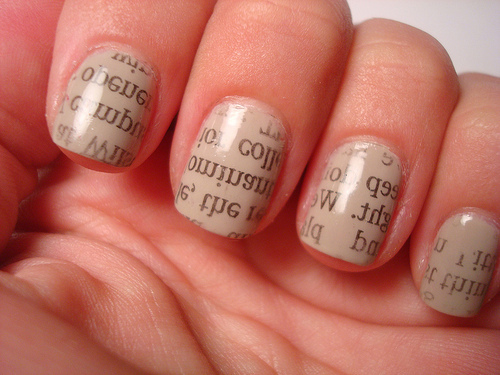 This entry was posted in NERDY SWEETS and tagged Newspaper Nails by admin. Bookmark the permalink.